Modern and contemporary, this Safety Stacking ashtray set from Anchor Hocking provides a great way to smoke your favorite cigarettes in style. 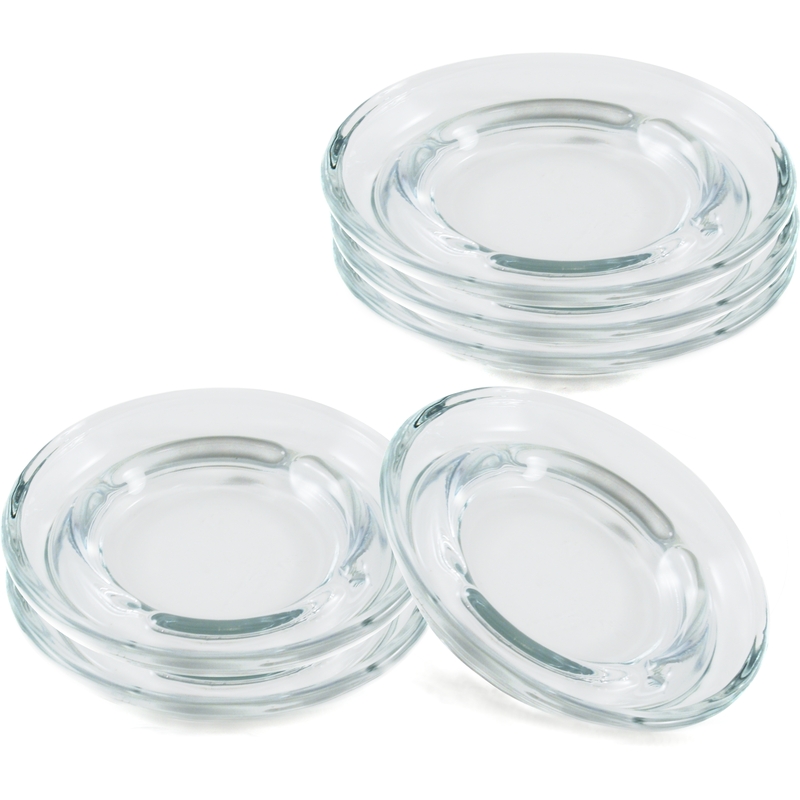 Fabricated from glass, it is designed to be able to stack on top of other safety stacking ashtrays for compact storage. Four cigarette holder indents line the rim, so you and three friends can set your cigarette down if you need to free your hand. Made in the USA, this set of six ashtrays makes a great gift for any smoker and can be easily cleaned in the dishwasher.